Looking for a cottage for the summer and for winter and also for your four-legged friend? Then you are exactly right with us. We invite you to be on 160 square meters (Non smoking) and 700 sqm garden and our guest to enjoy the wonderful forest and mountain air. From the house it can be started well in the mountains for hiking, biking and skiing. 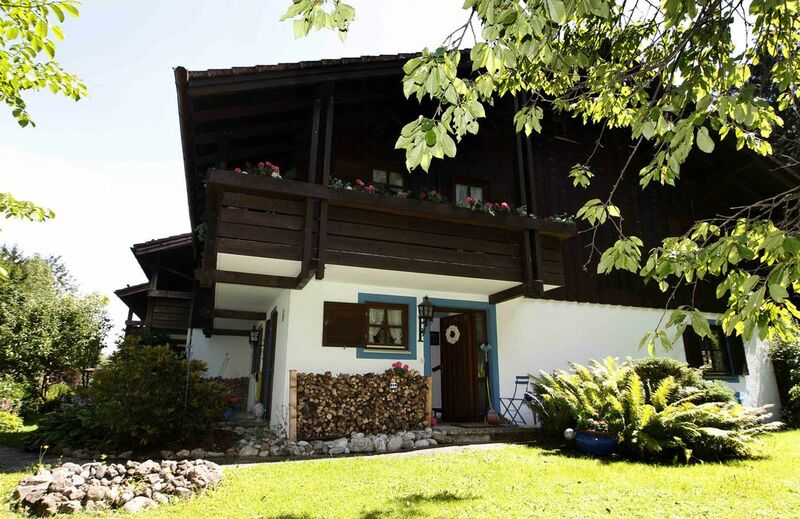 You can also take a trip to Lake Chiemsee or the neighboring province of Tyrol, as desired, depending on, you have chosen an ideal starting point. What is it better than covering the whole day to spend in the pure air of Bavaria? To welcome all our guests receive a bottle of wine and a fruit basket to spend cozy evenings on the first plump oven or in the garden properly can. This is a fantastic house, very spacious, everything you could possibly need to feel at home. The owner, Michaela, was very kind and helpful. Plenty to do locally for outdoor enthusiasts - walking, tobogganing, Wendlestein Mountain restuarant, Salt Mine, to name a few. Uk holiday makers, book with confidence. Only one hour drive from Munich airport. Friendly, helpful locals, easy driving (especially after France!). Beautiful clean countryside. Hello Marina and Gerald, sounds great...thanks so much!!!! Hope to see you again in Oberaudorf! Ski: In the winter you can ski in Oberaudorf (Hocheck) on Germany's longest floodlit piste or have fun on a 3km-long toboggan run. Sudelfeld is the geographically largest linked ski area in Germany with 31km runs, 3 chair lifts and 18 ski lifts. The ski area Hocheck has a four-person chairlift and four surface lifts, 10 km of slopes for all levels. Other ski resorts you see in the area of ? ?20km (Spitzingsee Kampenwand, flagstone, Hochkössen, Wilder Kaiser).